This paper produced by Marie A. Failinger provides excellent references and details. Inside the paper is found the following: Beyond these early explorers and the occasional free Muslim mentioned in early histories, recent historians of Muslim America suggest that the most significant influx of Muslims before the late nineteenth and early twentieth centuries was slaves. Muhammad, supra note 7, at 9; Freeland, supra note 1, at 450. 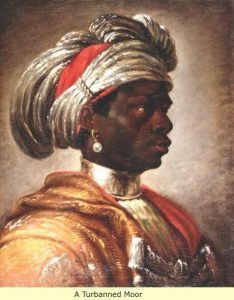 Muhammad notes that “Moors” from the Barbary Coast—captured by the Portuguese and enslaved—successfully. Although authors of American history commonly acknowledge that Muslims were among the slaves imported into the United States, recent scholarship suggests that they were more numerous than previously thought, and that many practiced their faith or a syncretic version of Islam and Christianity well into the nineteenth century. See Curtis, supra note 7, at 20–21 (describing syncretic Islamic and hoodoo practices of slaves); GhaneaBassiri, supra note 7, at 63–64, 80–96 (describing Islamic-faith among slaves); Freeland, supra note 1, at 450–51. Freeland notes that not all Muslim slaves were black Africans; Malaysians and Turks were also enslaved because Christians could own “infidels” whereas “infidels” could not own Christian slaves. Freeland, supra note 1, at 450– 51. Freeland traces how slavery became racialized as slaves became Christians. See id. at 451; see also Capet, supra note 8, at 551 (2010) (citing Allan Austin’s estimation that there may have been at least eighteen thousand Muslim slaves imported from 1771 to 1775). Among the cases witnessing to the existence of likely Muslim slaves are Hodge v. Montgomery, which discussed the gift of slaves, one of whom had the common Muslim name Fatima, and Bank of South Carolina v. Mitchell, which also discussed a slave named Fatima. See Hodge v. Montgomery, 17 S.C. Eq. (Speers Eq.) 268, 268, 271 (1843); Bank of S.C. v. Mitchell, 14 S.C. Eq. (Rice Eq.) 389, 390, 397 (1839). Modern histories suggest that Muslim slaves were likely better educated and more often from elite backgrounds than other slaves. Capet, supra note 8, at 552, 559. Many Muslim slaves may have acted out of self-interest, believing themselves superior to black slaves and attempted to gain “better treatment and possibly passage back to Africa.” See GhaneaBassiri, supra note 7, at 21–22. 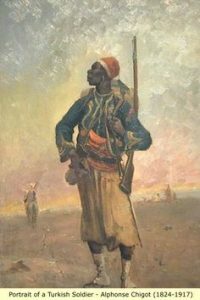 Kambiz GhaneaBassiri argues that African Muslims were both “de-negrofied” and “deIslamicized.”He claims that they were aware of the ways in which American slavery dehumanized people based on race and color, and often tried to disassociate themselves from other Africans by claiming that they were not black but Arabians or Moors.Id. at 21–22. 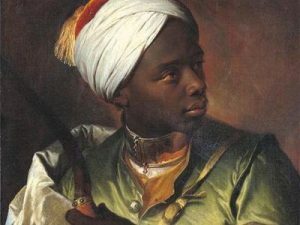 GhaneaBassiri notes that a Moorish identity may have captured the public imagination, the public having heard tales of white slavery coming out of the exotic and well-known Barbary Wars. Id. at 25. 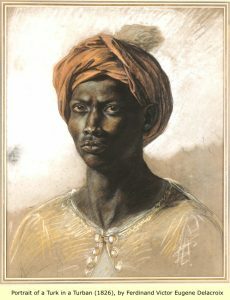 The white public also may have learned of Bilali Muhammad—a head overseer of a Georgia plantation who orchestrated its defense against the British in the War of 1812—or Omar ibn Said, the earliest known Arabic scribe in America who penned an autobiography about life as a slave in 1831.21 Capet suggests that among the most famous of Muslim slaves was Abdul Rahahman (Rahman), whose master granted his freedom at the request of Senator Henry Clay. Capet, supra note 8, at 557; see also GhaneaBassiri, supra note 7, at 26–27. Rahahman later went on a speaking tour in the Northeast to raise the funds to buy his children out of slavery and then settled in Liberia. Capet, supra note 8, at 557 Although much of the Muslim African slave culture seems to have died out in the early nineteenth century, African-American communities became interested in re-connecting with their Islamic roots as early as the late nineteenth century. See Freeland, supra note 1, at 451. Perhaps the most significant factor preventing the large-scale immigration of Muslims to America was racialization. Immigration from East Asia all but halted due to the Chinese Exclusion Acts in 1882, the exclusion of Japanese immigrants in 1908, and the creation of an Asiatic Barred Zone in 1917. In many of the cases in the early 1900s, the position of the U.S. government was that the 1790 Naturalization Act—permitting only “free white persons” to become citizens—applied only to persons living in Europe at the founding of the United States and their descendants. See, e.g., United States v. Balsara, 180 F. 694, 695 (2d Cir. 1910); In re Ellis, 179 F. 1002, 1003 (D. Or. 1910); In re Halladjian, 174 F. 834, 837 (D. Mass. 1909). At least one court noted the 1870 addition to the naturalization statute of “‘aliens of African nativity and . . . persons of African descent.’” See Ex parte Shahid, 205 F. 812, 813 (E.D.S.C. 1913) (quoting Act of Jul. 14, 1870, ch. 254, 16 Stat. 254). These cases are a painful reminder of the ways in which American racism both co-opted and stigmatized immigrants of other nationalities. On the other hand, he pointed out that the 1870 amendments “admit to citizenship the very race [of African-Americans the Syrians] term inferior.”54 On the other hand, an undertone of mistrust pervades some cases involving Syrians.55 Commenting on the “evasive and insincere” witnesses in a bankruptcy trial, the court seemingly explained: “[t]hey are all Syrians.”56 In keeping with the popular stigmatization of Muslims and those who come from predominantly Muslim countries, some courts took great pains to identify claimants as Christians, implying that this is a favorable factor in determining immigration status. They also went into great detail about what standard of “whiteness” should be used, some of them determining that Syrians were white and others that they were not. See, e.g., Ex parte Shahid, 205 F. at 816–17; In re Ellis, 179 F. at 1003–04. Thus, while the Oregon District Court found a Syrian to be “white” based on the popular usage of the term, the South Carolina District Court adopted the government’s proffered “European” meaning of “white,” pronouncing the need for a clear dividing line in a history shaped by intermarriage of races. Ex parte Shahid, 205 F. at 814–15; In re Ellis, 179 F. at 1004. But in Balsara, where the court rejected the government’s argument that “white” referred to those persons immigrating to the United States in 1790, namely northern and western Europeans, because it would exclude Russians, Poles, Italians, Greeks, and “Hebrews,” which the court found absurd. See 180 F. at 695–96. The Court concluded that Congress must have meant to distinguish the white race from “black, red, yellow, or brown races, which differ in so many respects from it.” Id. at 696. The court, however, also rejected the argument of amici curiae that the term “white” was meant only to exclude African-Americans and later-excluded groups like the Chinese. Id. at 696–97. Noting that the immigration form requires applicants to state their color and complexion, the court implied that the law continues to be concerned with the race of immigration applicants. Id. Noting that Syrians can be “of pure or almost pure Jewish, Turkish, or Greek blood” due to “another Semitic conquest in the shape of the Arabian Mahometan eruption, then again overlaid by the Mongolian and Turkish conquests,” the court held that a “Syrian of Asiatic birth and descent” cannot be naturalized. Id. at 816. Ossana Soghanalian, a Christian Turk, received a literacy exemption because, according to her testimony, all of the Christians from her home town had been killed or deported by Turkish Muslims and she was kept in a harem for over three years. See Johnson v. Tertzag, 2 F.2d 40, 40–41 (1st Cir. 1924).